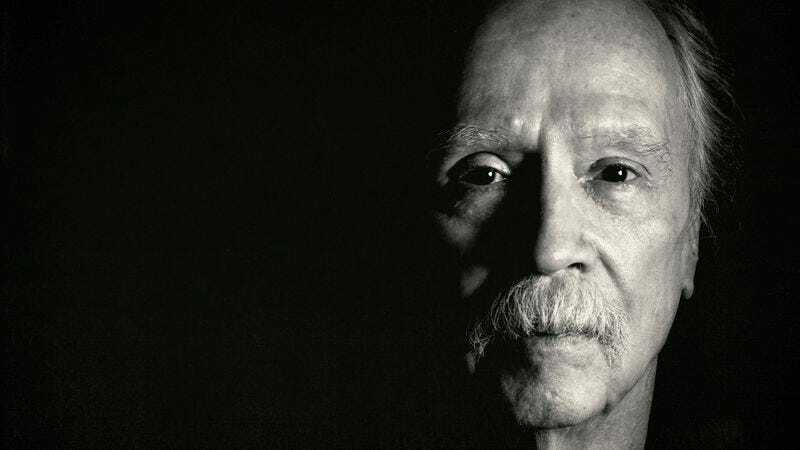 Despite the fact that he has been a successful and influential director for the past few decades, John Carpenter decided to change career paths earlier this year by releasing Lost Themes, an album of new, original music. Carpenter has composed music for his films in the past, but Lost Themes was his first foray into abandoning the tired world of Hollywood in favor of the glamorous life of a guy who makes synthesizer music. Now, Carpenter has put out a press release announcing that he’s taking it a step further by booking his first ever live performance as a musician. The concert will be held during Iceland’s ATP Festival in July of next year, and though the press release doesn’t say if he’ll only be performing songs from Lost Themes, we wouldn’t be surprised if a familiar “di-doo-doo di-doo-doo di-doo-dee” makes an appearance. Carpenter will also be releasing an album of Lost Themes remixes later this month, and maybe at some point he’ll make another movie or whatever.